The very word 'fungus' can make most of us cringe when we think about it in terms of our homes or bodies. But fungus is also a very real threat to our foods as well. Not only is it a problem for foods after we have purchased them but it can destroy crops in the fields, creating an enormous challenge for farmers. New outbreaks of a threatening fungus have meant that researchers needed to rapidly find ways to develop GM crops to resist the fungus. While they have been successful, we also have to look at what this means for the future of farming. A specific kind of fungus called stem rust fungus has become a major threat to crops around the world. It's considered one of the worst diseases for wheat and has been an issue in recent years, although the problem died down somewhat after it was last a concern in the 1960s. The fungus strain is known as Ug99 and spreads quite rapidly. However, a new genetically modified (GM) version of wheat may prove to be the answer to this fungus. Researchers have recently reported the successful development of new kinds of wheat that are resistant to Ug99. You might be surprised to learn that the 1960s crisis was handled through GM technology as well. So, why the outbreak now? The problem relates to plant immunity. Initially, three genes were engineered into wheat to resist the fungus. 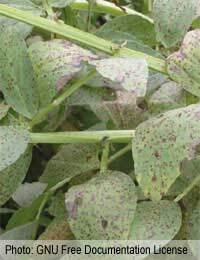 But, any mutation can mean that the fungal spores are able to thrive, leading to infection of the crop. A new array of genes should now take care of the problem, making it more difficult for the fungus to survive and spread. This new variety of wheat is engineered with this combination of genes and has shown exciting promise in testing thus far. Depending on the area of the world affected, a number of wheat varieties that have high yields have been developed with the gene complex at the core. The other key benefit of these new kinds of wheat is that they are higher yielding than the old varieties. Of course, they also do what they have been developed to do, which is to resist the deadly fungus. Still, even with the positive advancements in GM technology for handling the fungus crisis, there is concern that the fungus will continue to evolve and may develop immunity yet again. Also, the fungal issue is one that is affecting a number of countries around the world, which means that ensuring each geographic area can handle the fungus and receive access to the high yielding wheat is vital for success. For now, it is hoped that the new wheat is successful and accessible to all of the farmers who need it while long-term plans for the future involve readiness to promptly deal with new outbreaks if the fungus again becomes immune to the wheat. Our food supply must remain sustainable and safe but whether genetic engineering is the best answer remains to be seen.